Finding yourself in the market for a new piece of technology can be an increasingly scary prospect. With so many products flooding the marketplace at the same time there is a nearly constant drain on your attention as to who warrants your money. The tablet market, in particular, has seen a surging change over the past five or six years. 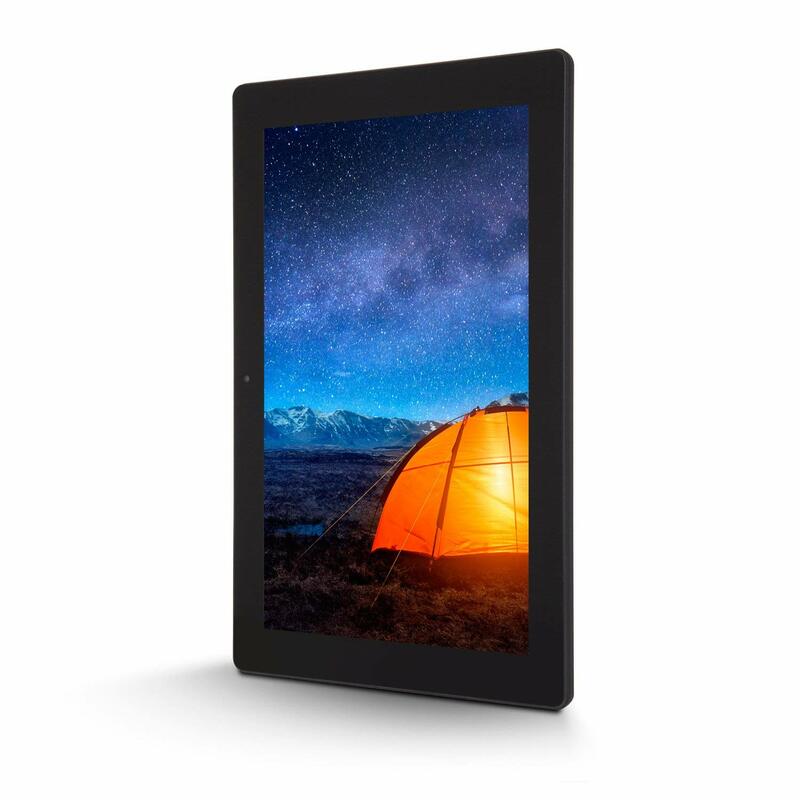 Today we are going to highlight one of the greatest little tablets around, the Astro Tab A10. The Astro Tab A10 figures to be the leading tablet in 2016 if the guys at Inspira Technologies have it their way. The primary sales pitch fort his little guy is this: flexibility and power meet functionality and price. While sales pitches are nice and all, we figure that you might want a little more information than that. We’ll break down this bad boy from top to bottom as we cover its look, its hardware, and its software. While the guys over at Apple may have innovated the ‘look’ of modern tablets we feel that the A10 does a phenomenal job of emulating it and improving in some key areas. The first thing that you’ll notice when you look at the Astro Tab A10 is that it is a compact, sleek, and sturdy little device. 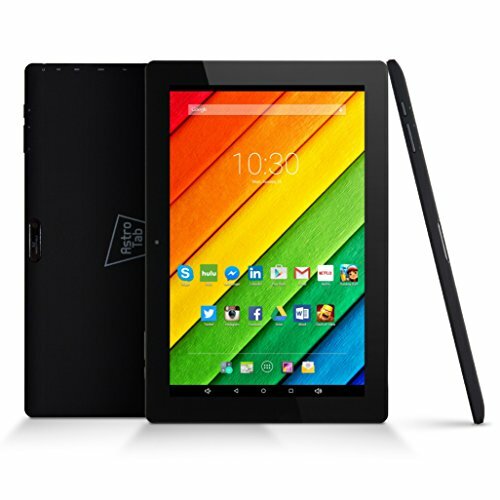 The A10 comes colored in dark black and features a 10.1-inch screen that basically pops up at you with color. As far as specs go you have a screen resolution of 1280×800 and you’ll be able to really utilize that screen for all its appeal whether you are playing games, watching videos, or preparing presentations. The coolest feature of all, in terms of the screen, comes into play with the widened viewing angle: a 178-degree viewing angle that allows you to see from quite a range. The biggest complaint that most people have with tablets is that they are a little too far removed from the ability of actual laptops or desktop computers. 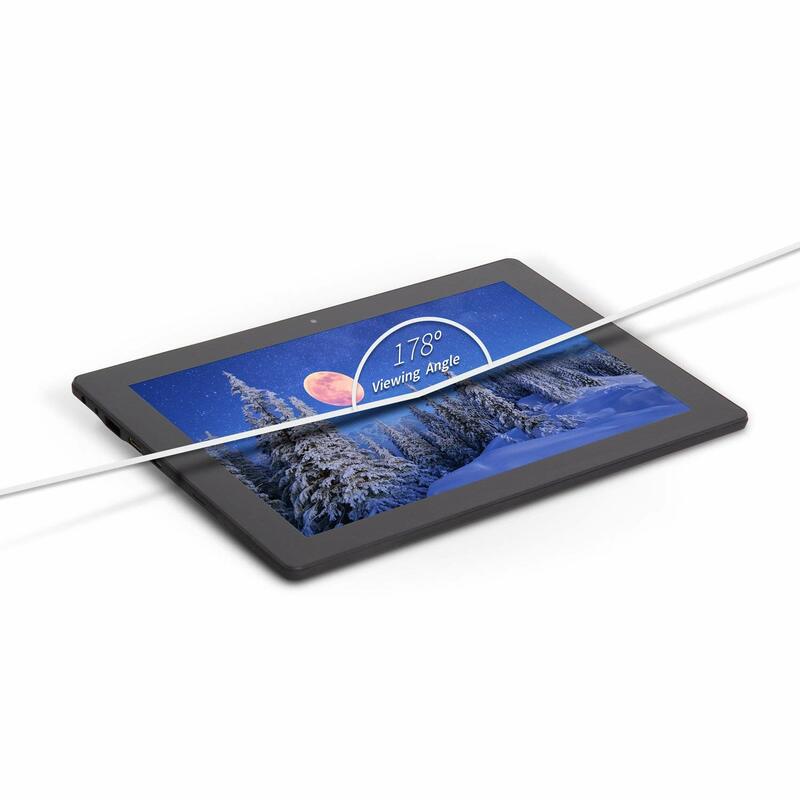 Fortunately, the Astro Tab A10 goes a long way toward assuaging your need for flexibility. If you look on the sides of the Astro Tab A10 you’ll see a variety of ports to make your various jobs easier. To start off you have the two most basic ports in your USB and Micro USB. From there you have a Midi HDMI port if you wish to push out your tablets contents to a larger screen. Along with that you have your MicroSD slot for expanded storage or transferring ability. All of this functionality costs you nothing as it is integrated without actually taking up space. You also have a built-in wireless card (802.11bgn) and Bluetooth connectivity as well. Staying connected is important, especially with mobile devices and this guarantees that you’ll never be without. 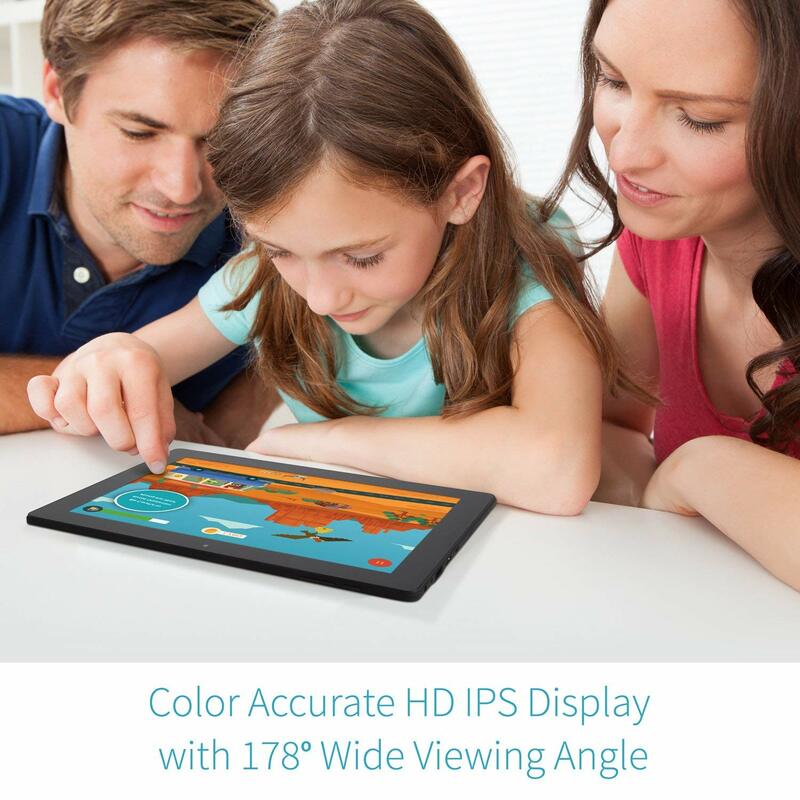 Built into the body of the tablet you will also be getting a pair of impressive cameras in order to capture those important moments. Your front facing camera will have .3 megapixels of quality and your rear facing camera will harness up to 2 megapixels. In either case, you can capture video or photography in high quality, high frame rate, beauty. No matter how pretty the exterior of your tablet actually looks, you’ll probably be more concerned with what’s going on inside of it. SO let’s break down some of the reasons you’ll want to have one of these bad boys in your hands on your next flight or road trip. First off we’re going to talk about the sheer functionality of the in-house O.S. The Astro Tab A10 is running on Android 5.1 Lollipop which has gotten nothing but positive feedback from consumers. You’ll have a system that is easy to navigate, easier to mold to your liking, and adequate for just about every plan you might have in mind. Your O.S. will be the engine that allows you to utilize your meaty insides. You get 16 GB of internal hard drive capacity, 1 GB of RAM, and a 2.0 GHz Octa-core processor. The big thing to look at here is the RAM: twice as much as comparable tablets on the market at this price. With this sort of power, you will be able to play all of your favorite 3D based games and high usage apps with no problem. Finally, you’ll have a powerful 6000mAh lithium battery that comes with a USB charger. The battery can run up to 5 hours on average when you are using your tablet in full force. When you are done with your tablet at night simply throw it on its charge and wake up to a fully juiced machine. While the Astro Tab A10 doesn’t have the marquee name of something shipped from Apple’s warehouse, it has all of the other benefits that you could ask for. 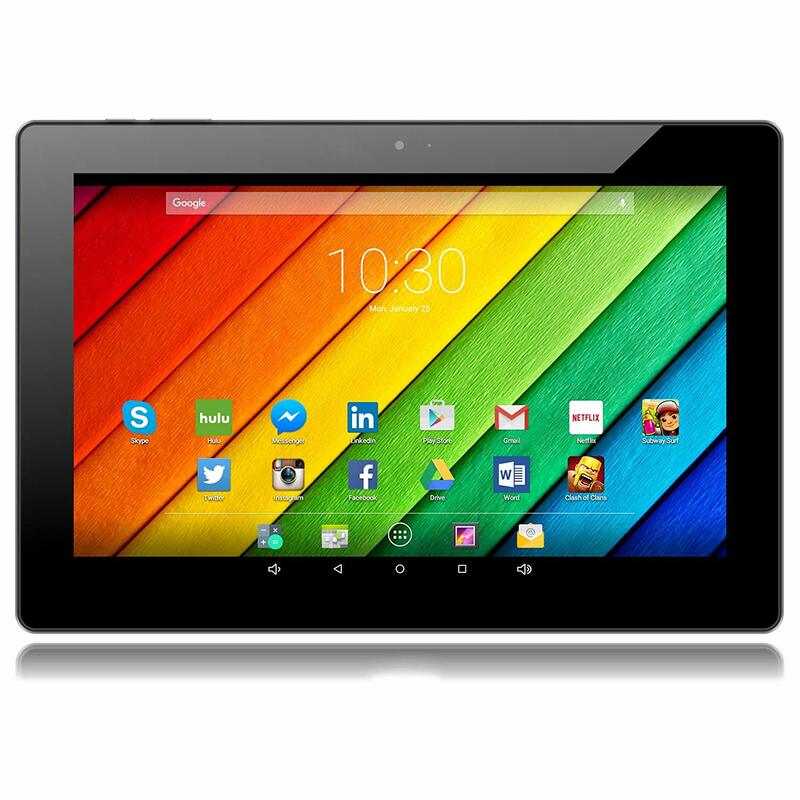 The A10 is a highly versatile tablet that offers full mobile functionality at a budget price. There were a lot of things to specifically love about this tablet but we did have a few key favorites. We liked how durable and sturdy the build was on the A10. So many times you’ll find these budget tablets to be made flimsy with no real focus on longevity. We want to know that our tablet will survive a fall or a ding if we let it slip through our fingers while on the go. We also loved the sheer computing power of the device. The huge amount of RAM, the fast processor, and the stacked memory made it easy for us to access all of the things important in a mobile device: fun apps, online video streaming, and those powerhouse games that seem to be getting better by the year. The whole package was well put together and we couldn’t ask for more in this price range. If you need something sturdy, capable, and on the go then you’ve found your device.